← If I had a backyard bigger than a patch of grass with a swingset, I’d put these in it. Sage Farm’s April show was titled, “A Hint of Spring,” but that was completely misleading. There were no hints. It was SPRING ALL OVER, baby! Everywhere you looked. 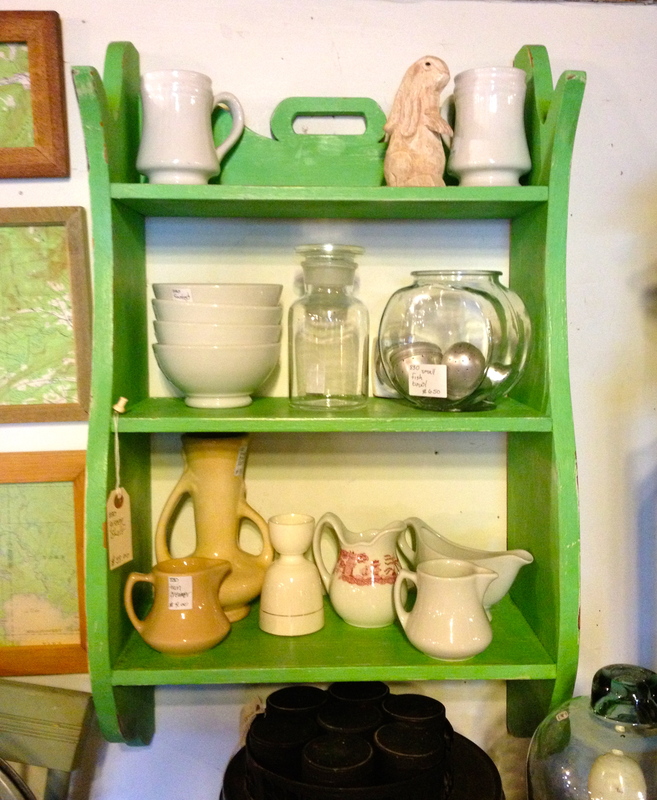 Lots of green, like this fun shelf. Its leafy color really pops against the perennially popular white ironstone pieces. 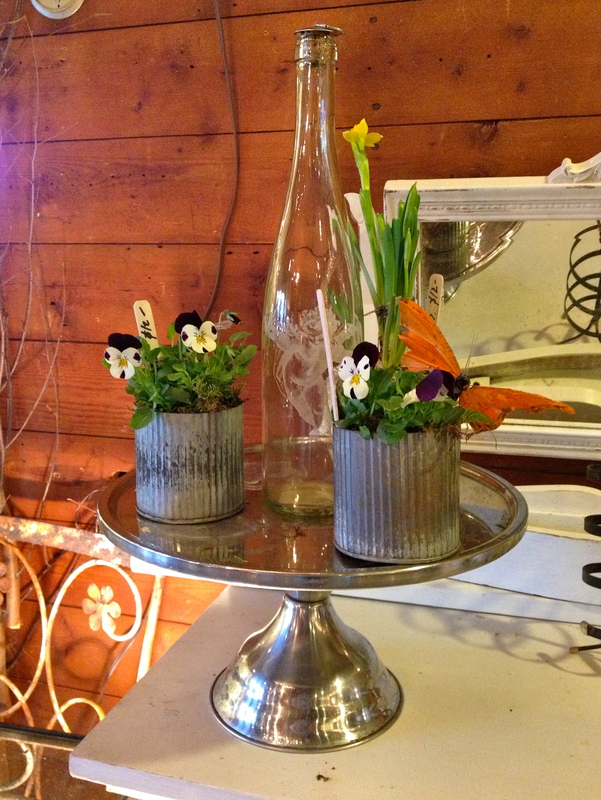 Lots of daffodils and pansies, like this simple display of galvanized pots on a vintage chrome cake stand. 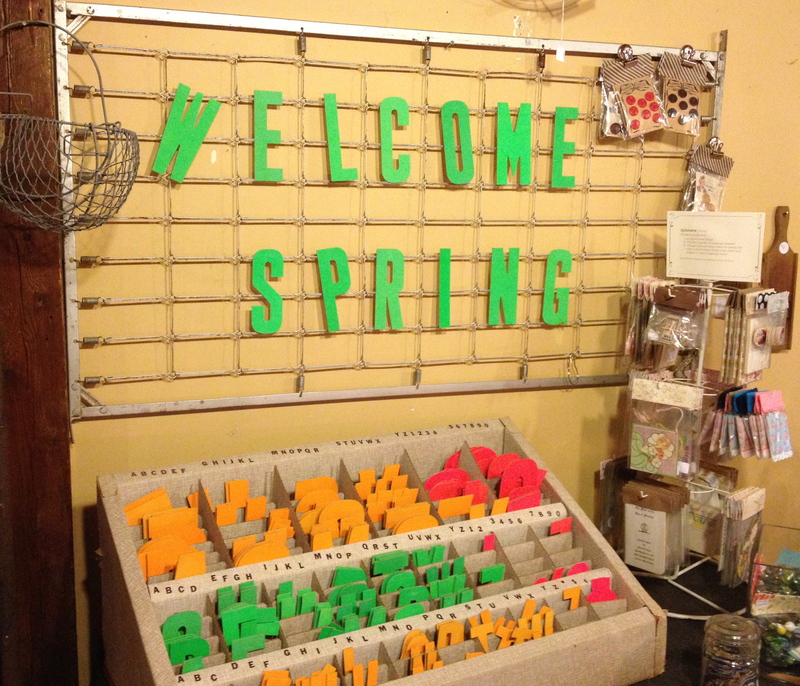 There was a brash welcome to the season, done in old neon signboard letters on a crib spring. On Saturday, though, two bored little girls who were shopping with their mom spelled out something more personal! Birds and butterflies? They were everywhere. The Vera linen towel looked unused. And I bought the sweet little Royal Copley wren to add to the birds in my kitchen! We saw lots of picnic baskets, too. It’s too early to picnic in New England—there are still a few mounds of melting snow in shady spots!—but it can’t be long now. 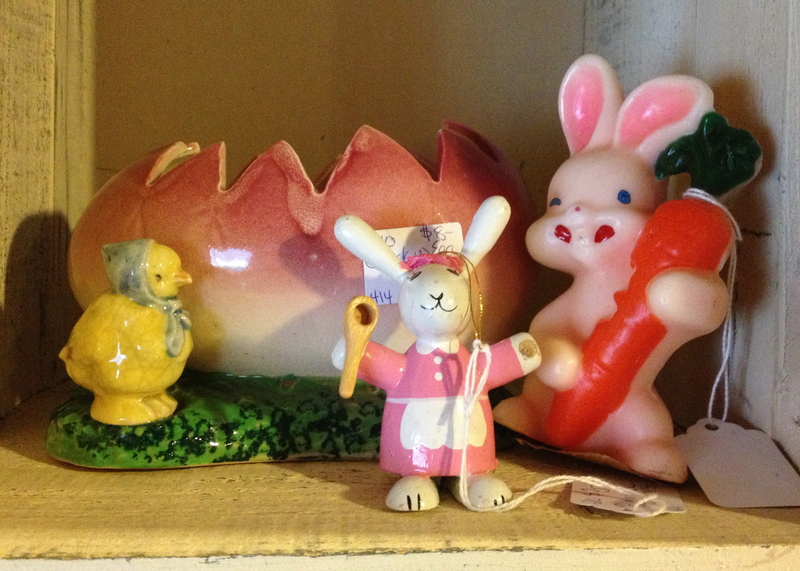 Don’t you love the restraint in this display? 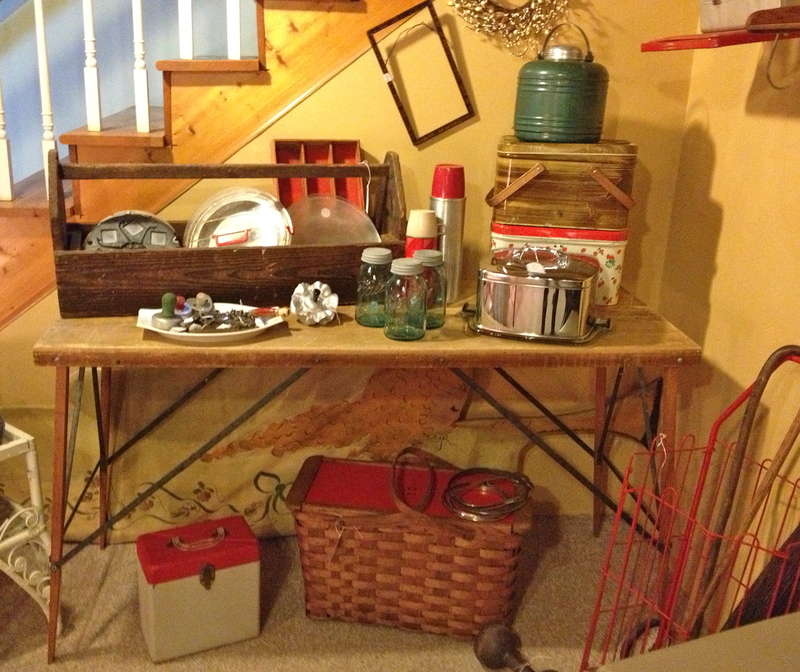 You can easily see every object on and under this vintage wood folding table, and the colors and shapes have been so carefully composed. I have a really tough time being this restrained. 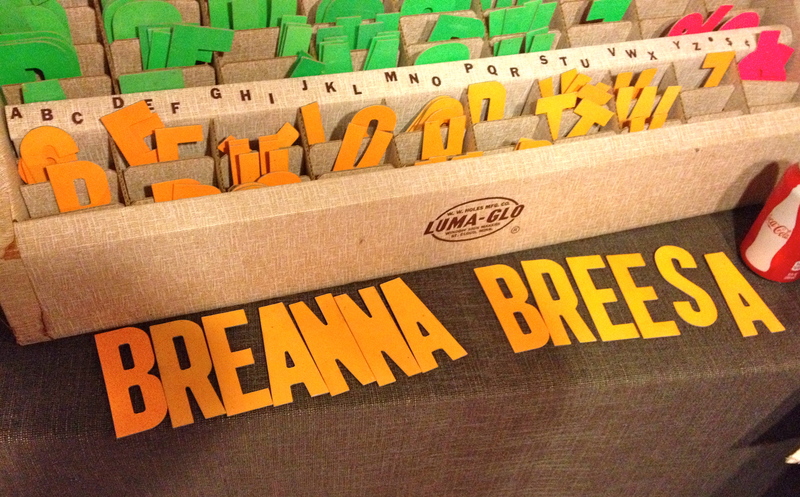 My displays tend to be piled high!